Home > Blog > Disposing of the Body – a review. the opening scenes wasn’t going to happen. unravelling of Henry. Then Angela disappears. always take the easy option. pain of loss and betrayal. the turmoil in his mind. heart-broken husband, having to face his wife’s duplicity. anticipated how far-reaching her little fling would be. the early days of their relationship was lost behind the sofa. they like. But when house lights are up, the magic, for me, isn’t there. dawned on everyone that the cast couldn’t go home until we did. hugely rewarding. The society will certainly reap the benefit. I swear to God you live in a cultural heartland whose calibre I can only marvel at enviously. I need to get out more – and I mean that without a single trace of irony. My mum often says this about where we live. I hadn't really thought about it, maybe it's because it's a small town community and we like to support local events. We certainly have a great little theatre in the South Holland Centre in Spalding. Thanks so much for taking the time to comment, Pippa. I hadn't planned to write a review but Martin Tyrrell asked if I would. I was a little nervous as reviews are just personal opinions and things I liked or didn't like wouldn't be the case for everyone watching. I hadn't realised you had such a short time for rehearsals. Crikey, that's not long at all for an amateur production. So pleased to hear the play has given you the fire to carry on acting. Good review, Trish. I'm sure the cast appreciate the care and balance you took over it. Seems a shame they don't acknowledge the applause. It's a great "it's all over, we got through it" moment. It took me quite a while, I was conscious of the cast reading reviews, as I have done myself, so wanted to get it right. I always love getting the applause, to let the character go and be myself at the end. Thank you Trish for a very fair and appreciative review. The idea behind having the characters walk on slowly and freeze at the end was to retain the air of unease and ambiguity I hoped tp generate throughout the play, but with hindsight (always a rare gift) I reckon the players would have appreciated some individual applause for their wonderful efforts. They did me – and Spalding – proud. It's such a personal thing, a review, so I am relieved and pleased to know you appreciated it. I noticed on the St. Nics Facebook page someone disagreed with me about the ending. I was pleased to read that because it's important the cast knows that everyone has a different opinion. I do love the chance to take a bow when I am on stage so this may have influenced me! It's the Universe's way of telling you NO. No? To shenanigans with neighbours? I still love a big west end musical production but you're right, sometimes it's good to see something that isn't necessarily easy to watch but makes a powerful emotional statement. It sounds like an extraordinary play and, like Steve, I really need to get out more! 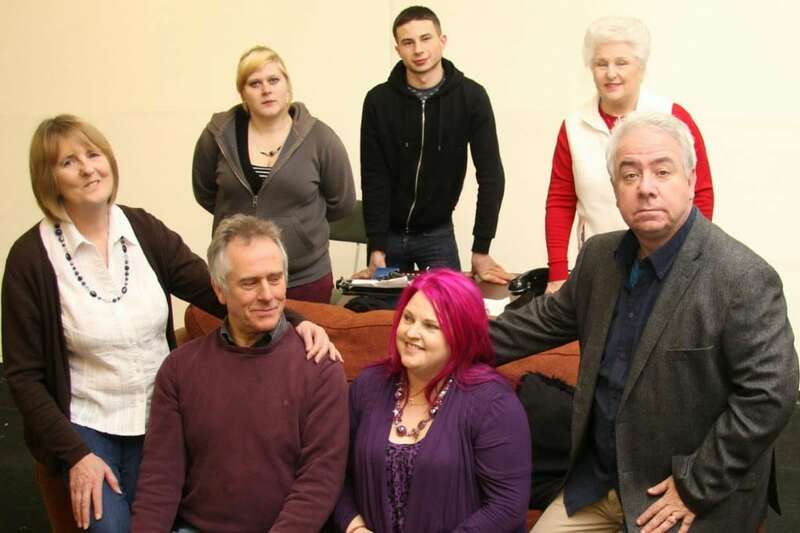 I think being involved in AmDram gets you out more – there are often friends performing so it's good to support them.